This news blurb recently crossed my desk, so I thought I'd put it out there for my many international readers. If you live in or near London, try to make it down for the event. Although sasquatches will not be on the agenda for the night, that is a temporary oversight. At least two of the speakers (Sir David Attenborough and Dr. Jane Goodall) are interested in the subject enough to voice optimism towards the animals' existence. The other ape experts should be closely listened to as well, since it is clear that sasquatches are a species of great ape that deserve their place alongside their gorilla, chimp, bonobo, orangutan, gibbon, and human cousins. Here's the article. 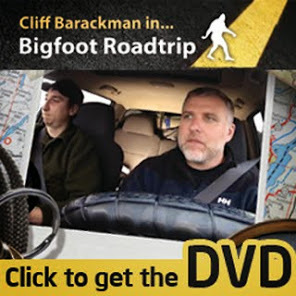 If you can attend, please tell me how it went by contacting me at NorthAmericanBigfoot@gmail.com. Organised by The Ape Alliance, hosted by Sir David Attenborough, and featuring high-profile speakers such as Dr Jane Goodall, this is an evening to be enlightened by the ape world, by the people who are involved in their conservation. The evening will commence with a short film introducing five species of ape, followed by a series of 20-minute talks about the plight of each species from five speakers involved in ape research and conservation. Speakers include orangutan expert Dr Birute Galdikas; Ian Redmond, UNEP ambassador and chair of The Ape Alliance; pioneering chimpanzee researcher Dr Jane Goodall; bonobo conservationist Dr Jo Thompson, and Chanee (Aurelien Brulé), founder of the Kalaweit gibbon conservation project in Borneo. A panel discussion and Q&A will be chaired by conservationist Mark Cawardine. Tickets cost £25/£34, or £100 for a VIP drinks reception with the speakers and other special guests. All proceeds go towards ape conservation projects.